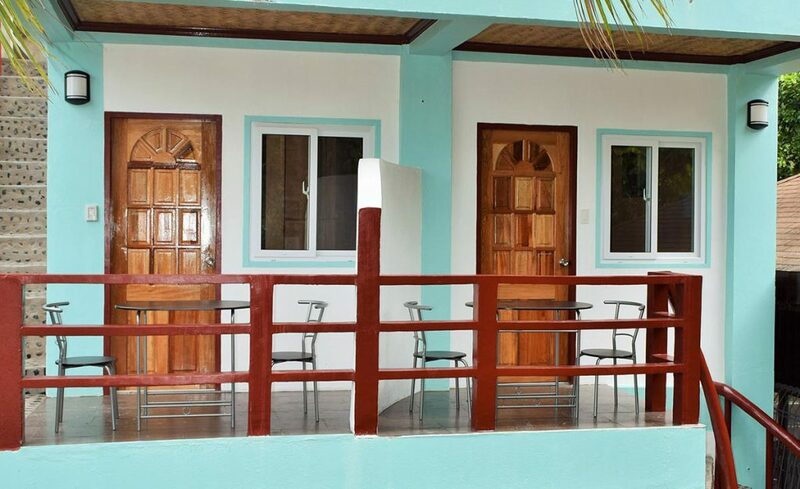 Our 2 standard rooms are close but with private entrance. Each room is approximately 15 sqm, including the outdoor terrace. The room has its own outdoor terrace to enjoy a serene view of the tropical garden that is truly refreshing and provides tranquility (partial sea view). The room is good for 2 pax (no extra bed, no twin beds available). 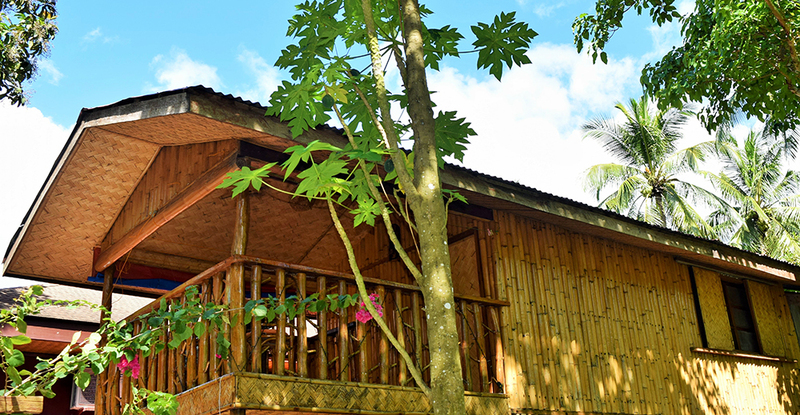 Our bamboo cottage is positioned at the back of our property (not sea front). The room is approximately 20 sqm, not including the outdoor terrace. The room has a private entrance and outdoor terrace to enjoy a serene view of the tropical nature is truly refreshing and provides tranquility. The room is good for 2 pax (max 3 persons with add. one extra bed) . 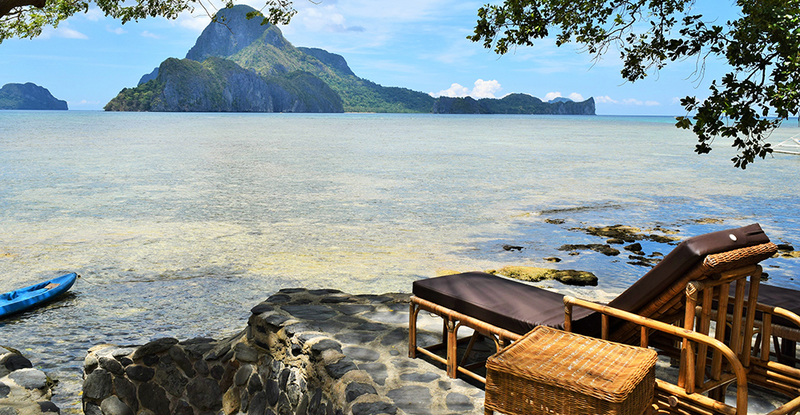 Positioned at the very front of the property, the seafront cottage is gorgeous room that include a perfect view of Bacuit bay including Cadlao Island and Helicopter Island. The room is approximately 23 sqm, including the outdoor terrace. The cottage has its own terrace and a private entrance. The room is good for 2 pax (max 3 persons with additional 1 extra bed). 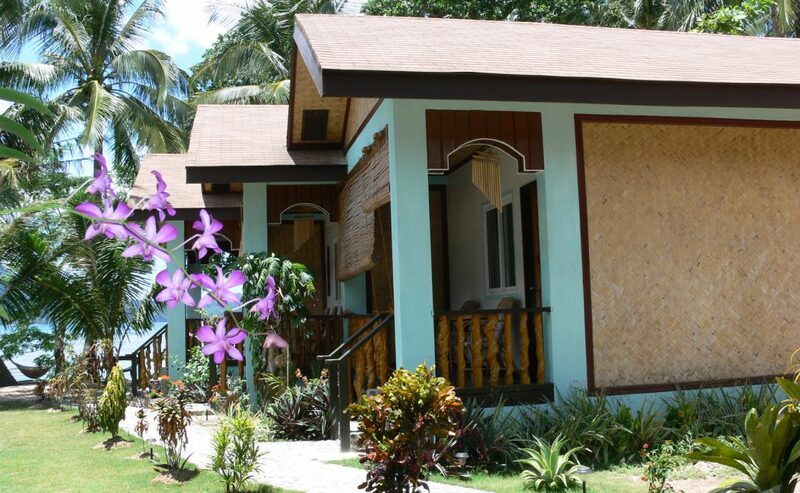 Our 2 standard cottages are close but with private entrance. Each room is approximately 23 sqm, including the outdoor terrace. The room has its own outdoor terrace to enjoy a serene view of the tropical garden that is truly refreshing and provides tranquility (partial sea view). The room is good for 2 pax (max 3 persons with additional 1 extra bed).